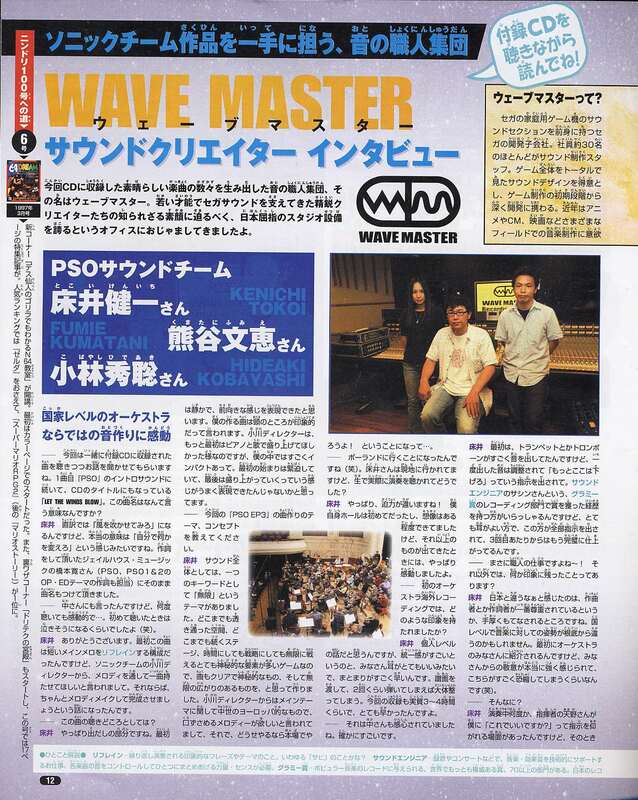 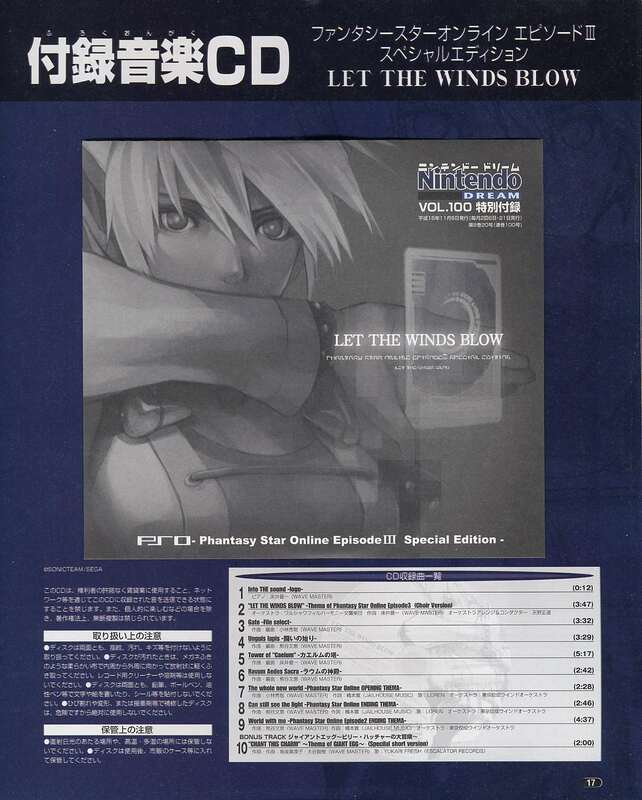 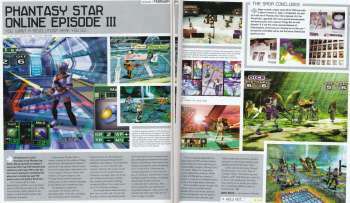 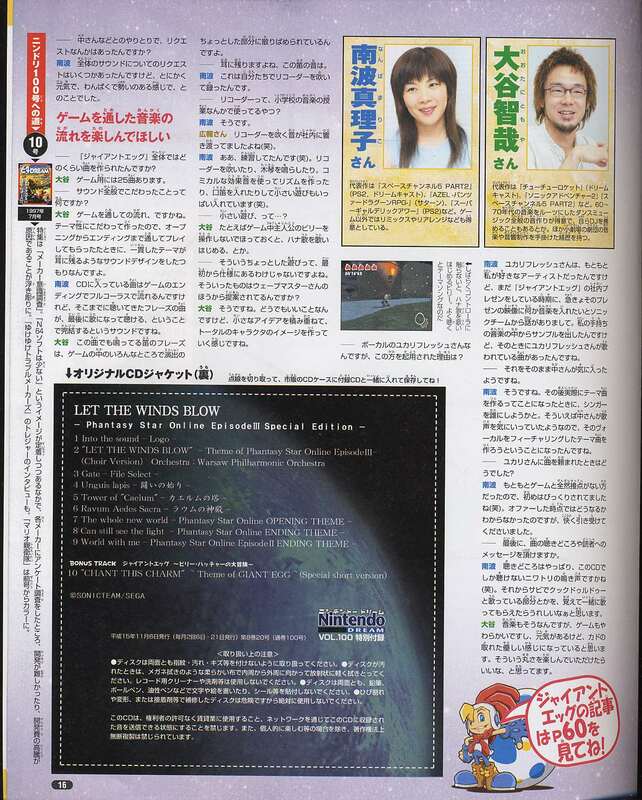 Nintendo Dream, and Japanese Nintendo magazine, had a huge look into PSO EPisode III, 9 pages long going through the game, and Wavemaster interviews. 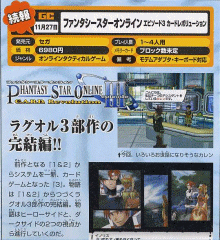 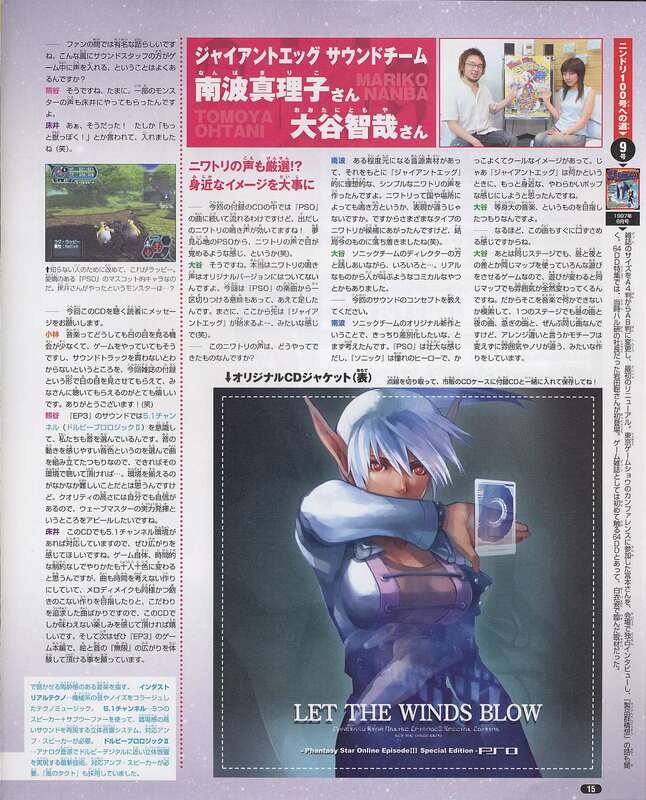 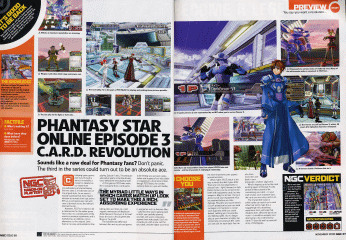 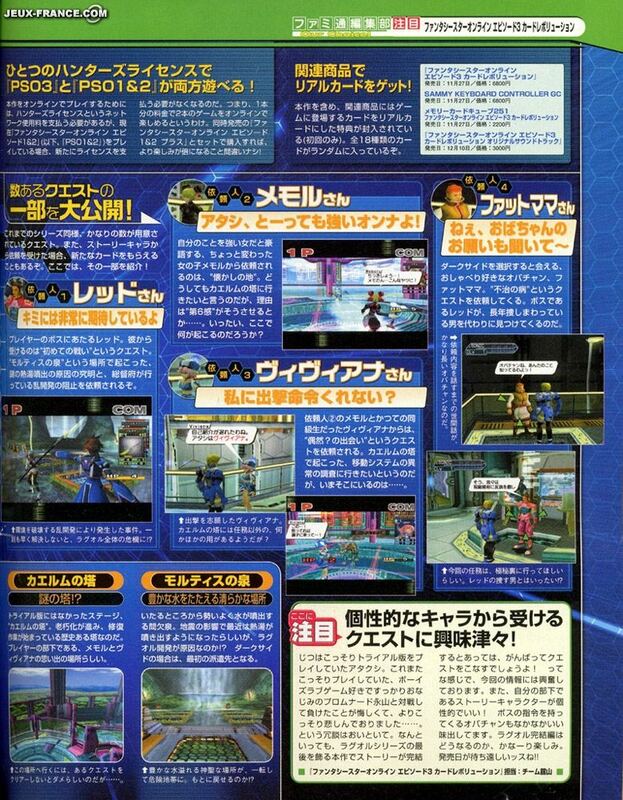 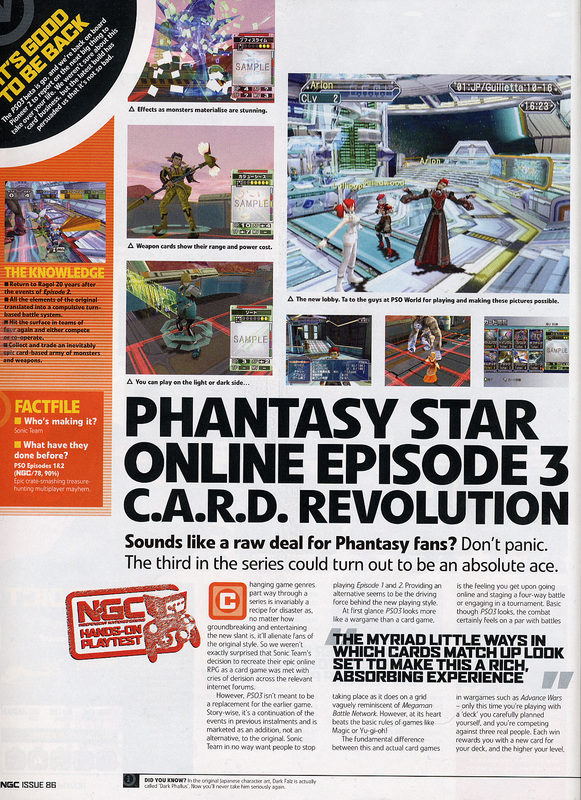 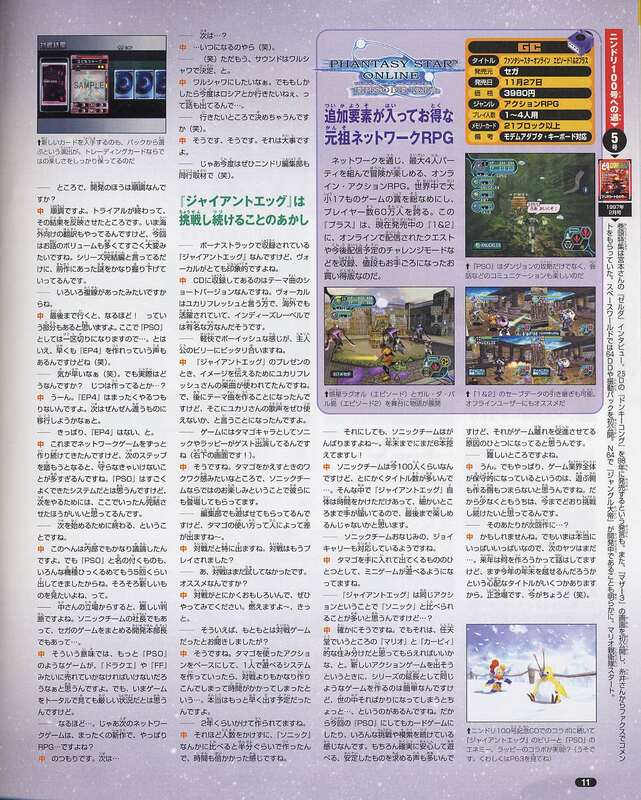 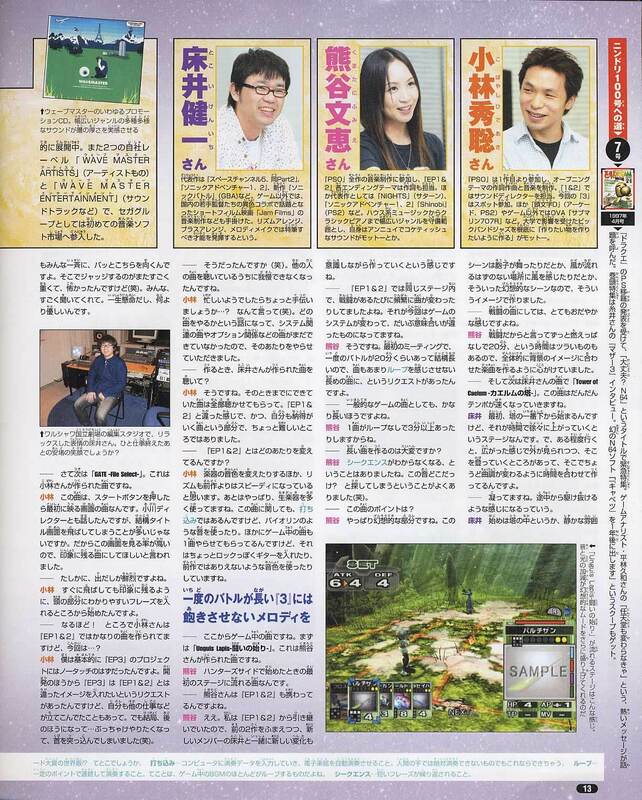 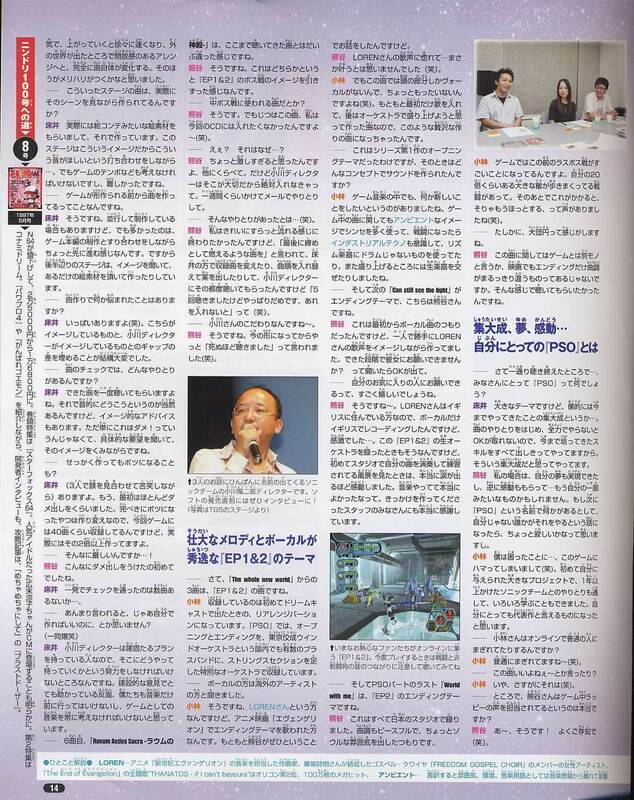 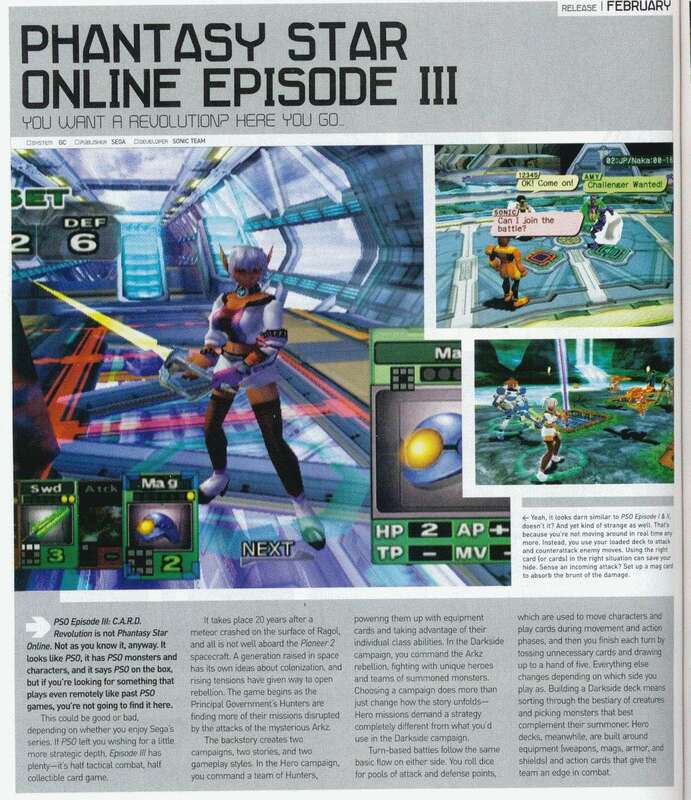 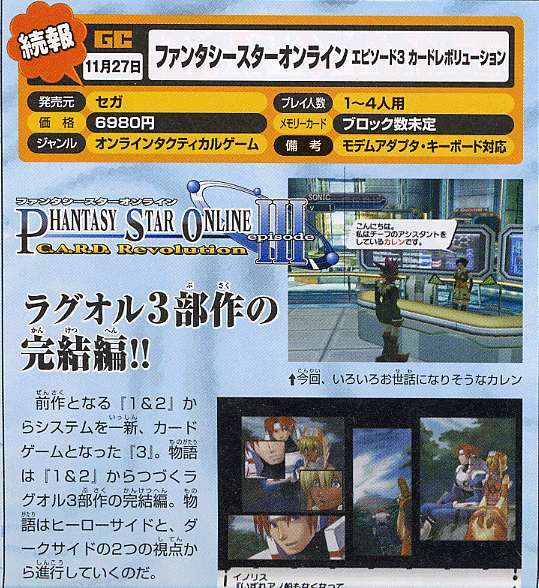 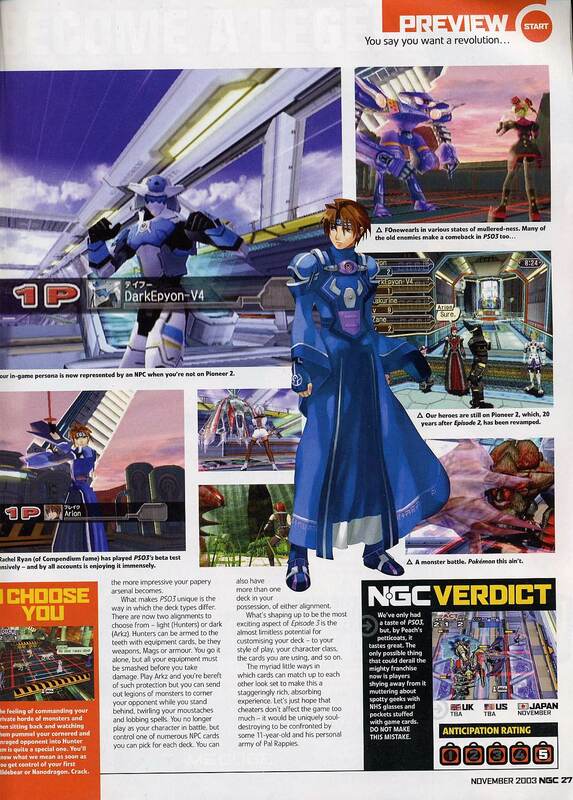 NGC Magazine had a 2 page spread about PSO Episode 3, which talks about the new Card gameplay and how it all works. 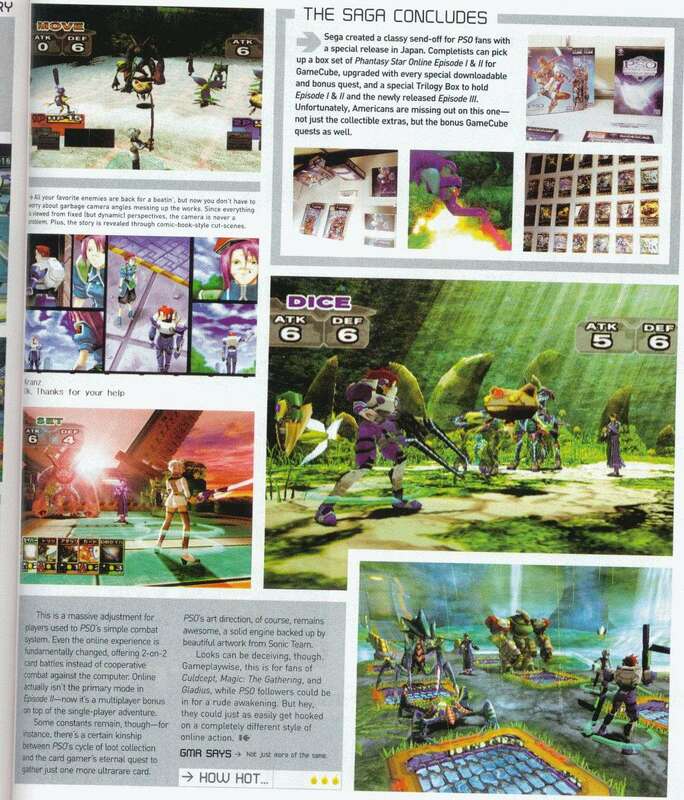 This small piece from a Nintendo Dream magazine just shows a few screenshots of the games storyline. 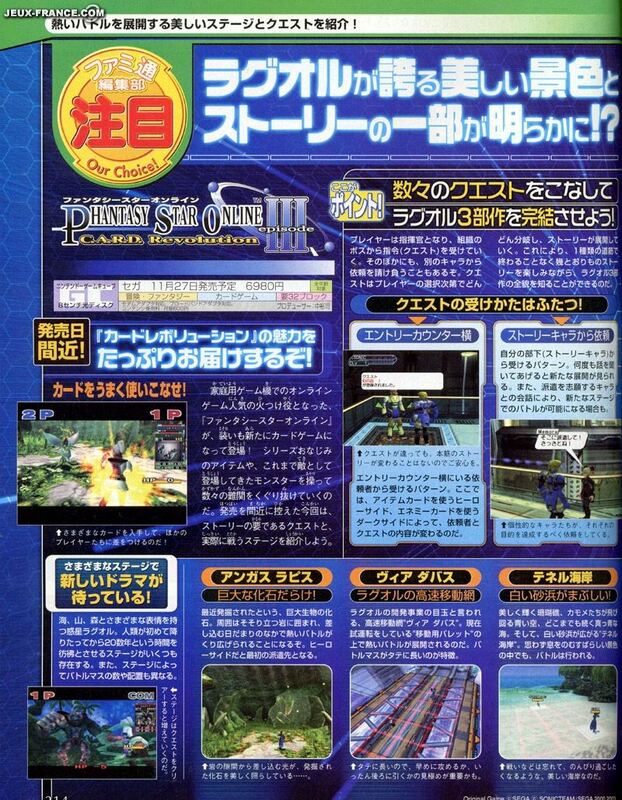 This is a 2 page preview of PSO Episode 3 detailing, in Japanese, the new worlds and some characters you'll find along the way. 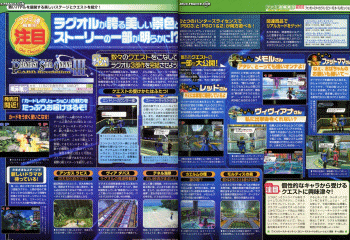 Another 2 page preview of Episode III, this one is from GMR Magazine, issue #14, detailing the new abilities and play this game includes.